eliminating build up of growth by use of brushes. Growth is inevitable, and the fight is on; Coating nets with copper is efficient but mixing it with food production is not appealing to consumer mind. High pressure cleaning can rip nets, soil the water making it harmful to fish gills, and even bringing disease from other locations. Loosing fish quickly means loosing ASC accreditation. and making it a complete surveillance robot for your cage net. Here is how well it works. In test with rolling brushes the growth was kept away over the 4 week period with a simple brush stroke every 3rd day. Without any cleaning the growth was visible after two weeks, and increasing exponentially over time. 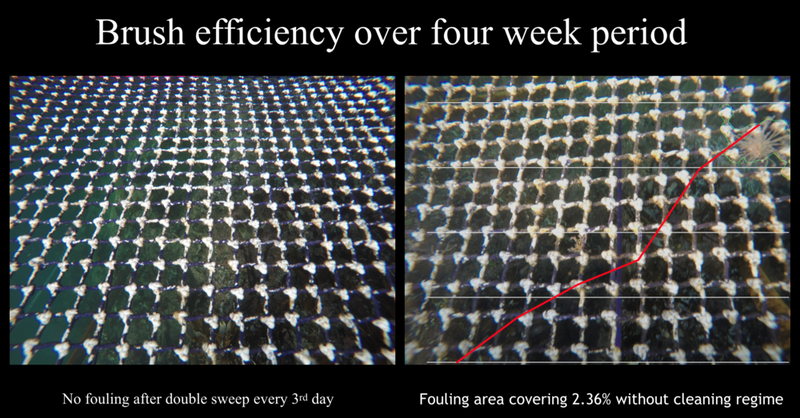 Continuous and careful cleaning is working and producing virtually no debris in the pen. The user interface highlights and tracks issues in the net real time. Integrity of the net and its cleanliness is objectively documented and summarised. 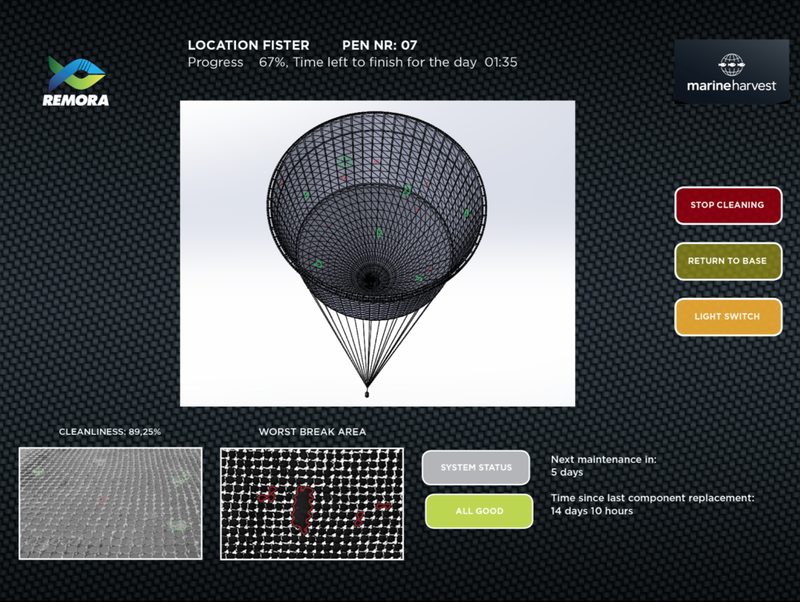 Operator can produce an overview of findings displayed on the locations in the cage net. You will also be able to compare pictures of a given location from previous day or week at your fingertips. You can spot one break, but can you see all four? Remora use less than 0,3 sec to locate all four breaks. Remora is being developed by Mithal AS.